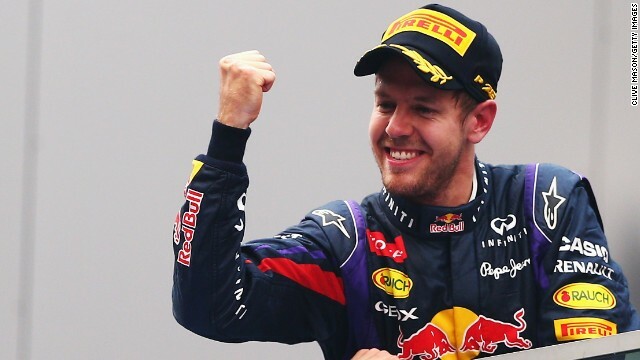 Is Sebastian Vettel Formula One's greatest? There aren’t many four-time Formula One world champions to speak of. In terms of scarcity they’re up there with hen’s teeth, tires that last a whole race and single-dollar bills in Bernie Ecclestone’s wallet. Of the hundreds of drivers who have pitted their wits in one of the world’s top motorsport divisions since 1950, only four have sealed a quadruple of titles: Juan Manuel Fangio, Michael Schumacher, Alain Prost and Sebastian Vettel. Vettel entered this elite club with his win in India on Sunday and, for once, topped the podium to cheers rather than the boos that have become all too regular for the young German this season. Speaking to reporters after the race the man from Heppenheim said: "It's very difficult for me personally, to receive boos, even though you haven't done anything wrong.